The weekend is near, and that’s always exciting. But when next week inevitably arrives, it won’t be entirely depressing. For you see, next Tuesday, August 23rd, Deus Ex: Mankind Divided arrives. 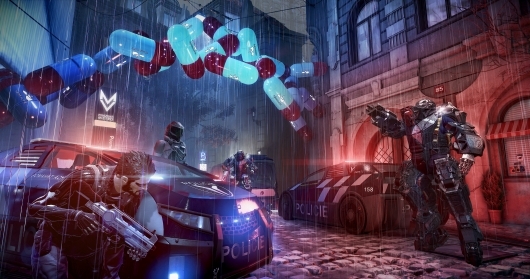 The game is the latest in the hit cyberpunk first-person action RPG series, and the follow-up to 2011’s Deus Ex: Human Revolution. With Mankind Divided’s release so close now, a launch trailer has been released online. You can read more about the game and watch the new trailer below. Developer Eidos Montreal and publisher Square Enix aren’t waiting for E3 2016 next week to shower fans with Deus Ex: Mankind Divided goodies. 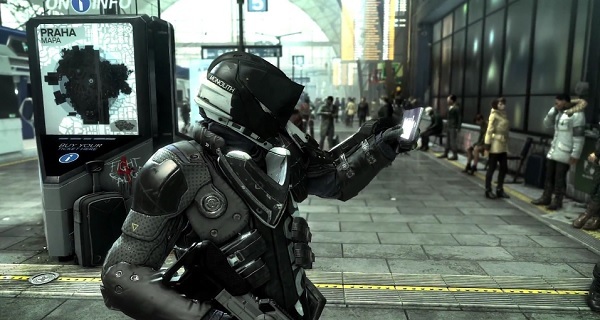 Not only have they released a new gameplay demo, which runs over 17 minutes long and is exciting enough on its own, but they’ve also released a trailer for a new game mode called “Breach,” a brief reveal trailer for a mobile game inspired by Hitman GO and Lara Croft GO titled Deus Ex GO, and a video looking at real-life human augmentation for those who are missing a limb and how the world of Deus Ex is being used for inspiration in designing new artificial limbs. You can see all of these below. A new live-action trailer has been released for Deus Ex: Mankind Divided. 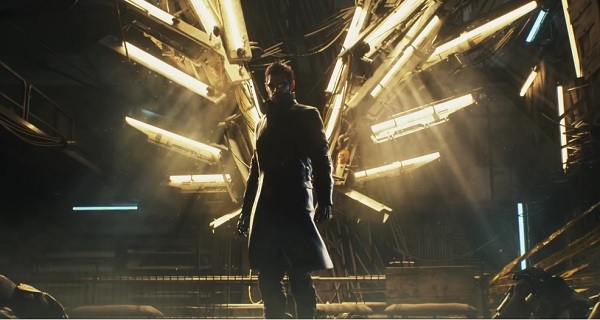 The trailer, titled “The Mechanical Apartheid,” steps away from the main character of the game, Adam Jensen, and the story he’s involved in that we’ve seen in previous trailers and gameplay videos. The trailer instead takes a closer look at the rise of augmentation technology, the division that arose between augmented humans and non-augmented humans when the former attacked the latter in Human Revolution, and how this affected people on a deeply personal level. It’s only a few minutes long but acts as an excellent short film that sets up the world that Deus Ex is set in, especially for those who aren’t familiar with the series but are interested in the new game. You can check out the live-action trailer below. One of the games I’m most excited for in 2016 is easily Deus Ex: Mankind Divided. I can’t say I’ve been a fan since the very start of the series, unfortunately, but the release of Deus Ex: Human Revolution a few years back certainly recruited me into the fanbase. What we’ve seen of the new game so far has been really exciting to see, but alas, some things we’re excited about require patience. This is especially true about video games, which often require patience and then even more patience when the title gets delayed. This is the case with Mankind Divided, and I’m afraid this delay is a lengthy one. A new trailer for Deus Ex: Mankind Divided titled “Adam Jensen 2.0” has been released by developer Eidos Montreal and publisher Square Enix. 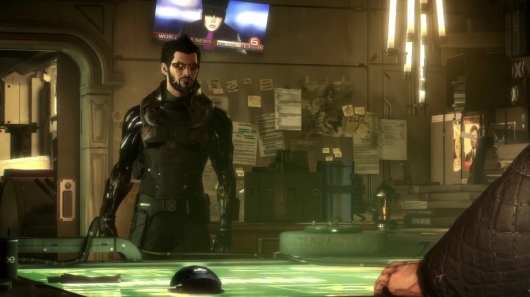 The gameplay trailer focuses on some of technology that players will have at their disposal playing as the heavily augmented main character Adam Jensen, such as the Titan shield, a new gun-arm augmentation called the Tesla, the Nanoblade, and the PEPS. You can watch the new trailer for Deus Ex: Mankind Divided below. After the madness of E3 2015 settled down a bit last week, Square Enix decided to keep the fun going strong. 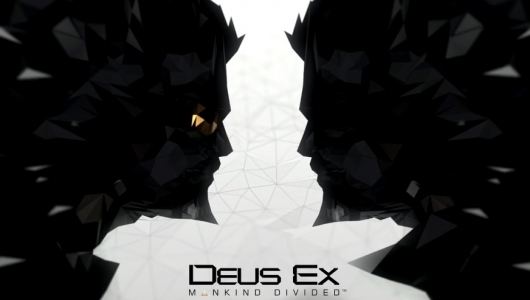 During the convention they shared a gameplay trailer and tech demo for Deus Ex: Mankind Divided, but it was at the end of the week that they decided to unleash the excellent 25-minute-long E3 gameplay demo to give excited fans a significant peek at how impressive the game is looking. The gameplay demo delivers a little taste of everything the game has to offer, from its look to the many stealth and combat options you’ll have to the choices you’ll make in strategy and dialogue. You can watch the full gameplay demo below. Back in April we saw the excellent cinematic announcement trailer for the upcoming Deus Ex: Human Revolution sequel, titled Deus Ex: Mankind Divided. As expected developer Eidos Montreal unveiled the first look at the gameplay of Mankind Divided, also in the form of a trailer, during publisher Square Enix’s E3 2015 showcase presentation. You can check out the E3 gameplay trailer below, and also an added bonus tech demo video that offers a look at the Dawn Engine that was used to create the game. A couple of days back we got our first brief peek at the next game in the Deus Ex video game franchise, titled Deus Ex: Mankind Divided. Now today an official announcement trailer for the sequel from developer Eidos Montreal and publisher Square Enix has been released online. Unlike yesterday, this is a full cinematic trailer and lays out what the game will be about. There’s no actual gameplay to see yet, but it’s still early. 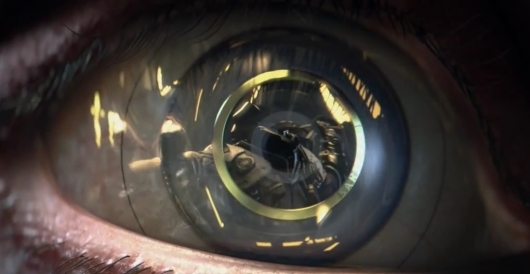 You can watch the Mankind Divided announcement trailer and learn more about the game below. Developer Eidos Montreal and publisher Square Enix’s 2011 reboot of the Deus Ex video game franchise, a prequel to the original games titled Deus Ex: Human Revolution, is a personal favorite of mine. Myself and other fans of the game have been waiting quite a while for the follow-up, while attempts have been made to turn the last game into a movie, and now the time has come. 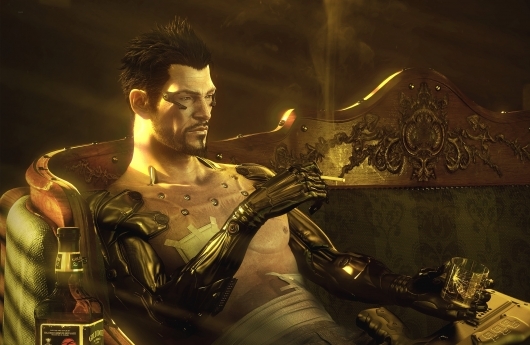 After about four years, the next game in the franchise, titled Deus Ex: Mankind Divided, is in sight. It’s also been unveiled as Game Informer’s May cover reveal, and to celebrate the big reveal, a video has been released offering a first peek at the game. You can learn more about the game and see the first look video below. Predators writer Michael Finch has been hired by CBS Films for Deus Ex, an adaptation of the hit video game Deus Ex: Human Revolution. The project was once being worked on by Sinister tag team Scott Derrickson and C. Robert Cargill, but Derrickson recently scored the Doctor Strange directing gig from Marvel, so he’ll soon be quite occupied with that. Derrickson and Cargill are also working on the screenplay for a movie adaptation of The Outer Limits while screenwriter John Spaihts pens the script for Strange.